Unfold showcased collections from 11 established Irish fashion designers at London Fashion Week as part of the Irish Design 2015 (ID2015) international programme of events and activities. London Fashion Week is one of the world’s highest profile designer showcases, presenting a key opportunity to increase the profile of Irish fashion designers and develop growth of business through exposure to an international audience of media and buyers. In line with the commercialisation and internationalisation objectives of ID2015, Unfold was presented at the Institute of Contemporary Arts (ICA) on Friday 18th and Saturday 19th September as an official on-schedule event as part of London Fashion Week. 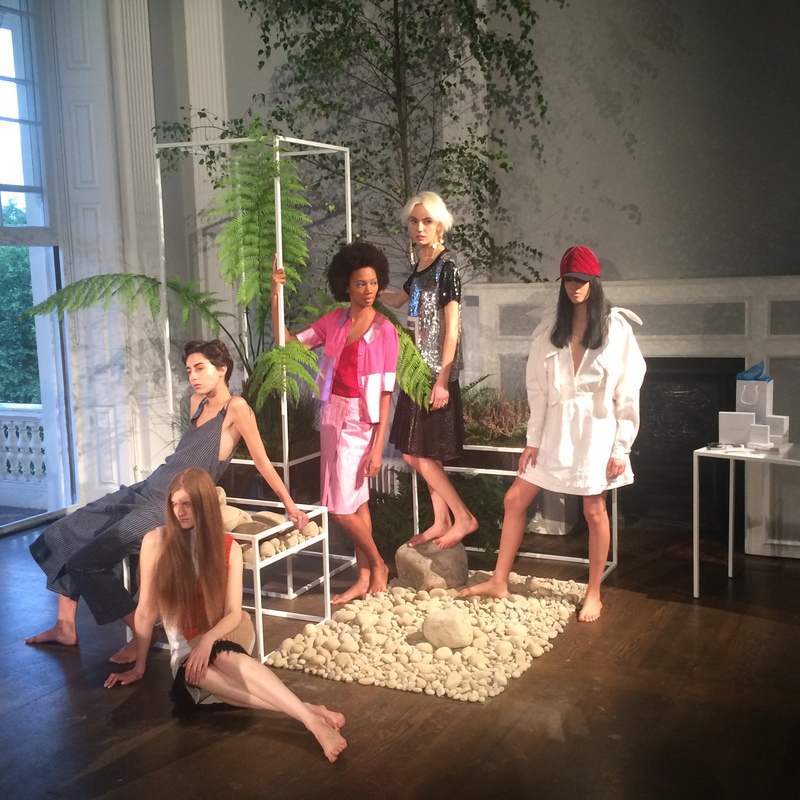 The 11 designers unveiling their SS16 collections as part of Unfold at the ICA were NATALIEBCOLEMAN, We Are Islanders, Emma Manley, Jill de Burca, Helen Steele, Honor Fitzsimons, Chupi, Maria Dorai Raj, Laura Kinsella, Martha Lynn and Capulet & Montague. The selection of these 11 designers across womenswear, accessories, fine jewellery and millinery was chosen by a judging panel consisting of Alex Milton, Programme Director Irish Design 2015; Shelley Corkery, Fashion Director for Brown Thomas; Aisling Farinella, Fashion and Textiles Advisor to ID2015; Constance Harris, Fashion Editor at the Sunday Independent and Brian McGee, Acting Chief Executive of the Design & Crafts Council of Ireland, following a call out earlier this year with over 40 applications. Each of the successful applicants was supported by an international industry mentoring panel.